The test case of baroclinic vortex was initially proposed by Spall and Holland (1991). It was later described in more detail by Penven et al. (2006) . 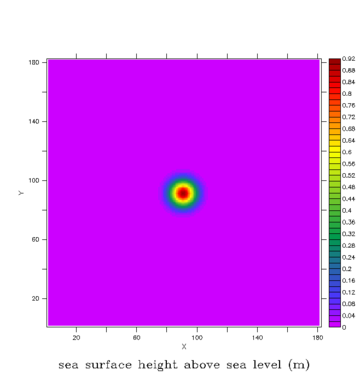 This test intends to follow the evolution of a geostrophicaly balanced baroclinic vortex in an idealized ocean on a beta plane centered on 38.5 degrees latitude north. 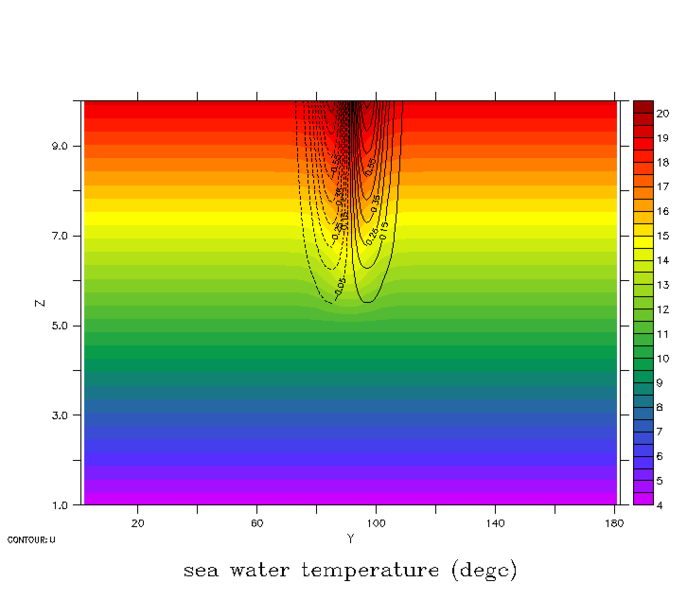 The vortex is constituted by a hot temperature anomaly dynamically equilibrium with a free surface and 3D velocity. Thus defined, the vortex evoles freelly in the simulationover a period of 100 days. The area is a 1800km side square box over a 5000m depth. The grid is composed of 180×180 pts on the horizontal (for a 10x10km mesh) and 10 layers on the vertical. Spall M. A. and W. R. Holland. A nested primitive equation model for oceanic applications. J. Phys. Oceanogr., 21:205-220, 1991. Penven P., L. Debreu, P. Marchesiello and J. C. McWilliams. Evaluation and application of the ROMS 1-way embedding procedure to the central california upwelling system. 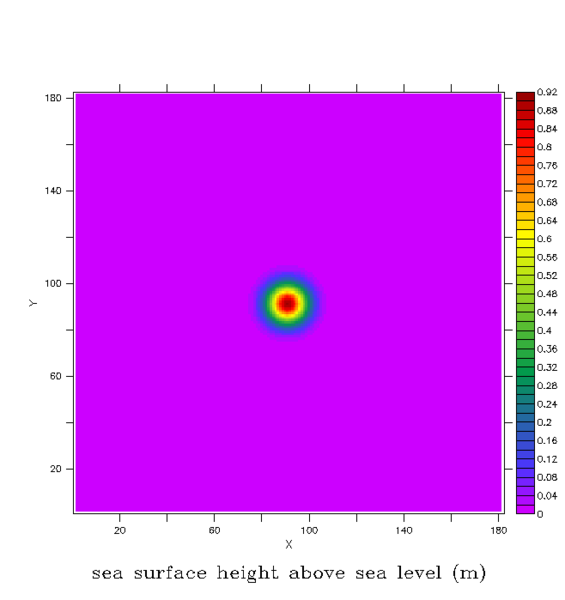 Ocean Modeling., 12:157-187, 2006.